Old Masters was founded in 1953 by paint salesman, Richard Ketcher. For awhile, Ketcher lived in St. Paul, Minnesota and worked for Sherwin Williams. Later he joined the Morris Paint Company in Omaha, Nebraska. As his sales territory expanded, he relocated to Nevada, Iowa while working for Morris Paint. At that time Ketcher, with the support of his wife Dorothy, started experimenting at home with various formulas to be used in wood graining and "antiquing". By 1953, after much trial and error (sometimes with disasterous results in Dorothy's cooking pans), he logged the perfect formula! Ketcher contracted with Diamond Vogel Paint to make base paints and Old Masters was born! At first, Ketcher made sales from the trunk of his car. That was short lived, as orders soon became large enough to be shipped by common carrier. His business flourished; Old Masters products were available nationwide. In 1969, Ketcher sold his growing company to the Darworth Corporation. Eight years later, with the popularity of antiquing beginning to dwindle, the company was sold again. This time to Vogel Paint, Inc. The Old Masters division employed three people! In the 1980's, new products were added to enhance the company's position in the interior wood finishing/refinishing market. Those products included a quicker drying, tintable penetrating stain, a full line of oil-based urethane clears and TM paint removers. A decade later, Scratchide touch-up pens and H2O Waterborne Clear Finishes were introduced and the existing product line was given a "facelift". The early 1990's saw the launch of a new sales focus, one that developed a relationship with two-step paint sundry distributors, marketed by independent sales representatives. This aggressive program was designed to promote Old Masters commitment to service to the independent dealer by offering wider availability. Many smaller independent dealers preferred Old Masters but simply did not have enough volume to buy direct. That having transpired, as the old saying goes, the rest is history! Old Masters, which is currently available in the United States, Canada and Mexico, has more than doubled its sales volume since the early 1990's. 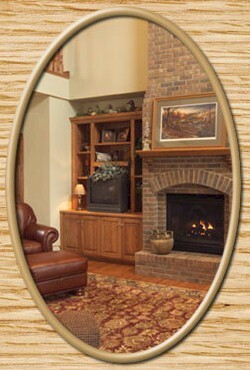 To remain competitive and establish new business, Old Masters continues to introduce additional products including Clear Wood Finish Brushing Lacquer, Quick Dry Varnish, H2O Waterbased Wood Stain, Deep Red Penetrating Stain and Gel Stain, which is used and recommended by the premier fiberglass door manufacturers throughout the United States. In 2002, Old Masters expanded its sales territory even further by developing California and Arizona Volitile Organic Compound (VOC) compliant products. That line has proven successful with two full-line stocking distributors and 126 dealers. The employees of Old Masters embrace the future with enthusiasm as they celebrate 50 years in business this year!